He was called “Yoyo” when I first met him in Solo, Central Java, Indonesia in 1977. He’d been called to work with the Elders serving in that beautiful city where I was also serving. Our mission president asked that I spend time with Yoyo helping him with his English. Every single time we met he’d begin with “I want to tell you about my missionary experiences!” (In Indonesian). He was “on fire.” He was like the “energizer bunny!” He became and remains a dear, dear friend… teman. He deserves at least a dozen “SHOUT-OUTS.” His life and ministry have reached out to thousands, including me. He served a full-time mission, had many Church callings, married a beautiful faithful Saint named Steffi (who had also served a mission), had wonderful children, now some grandchildren. He lost his beloved Jaredita (who passed away in Phoenix; she was on her way to BYU; that is another story for another time). 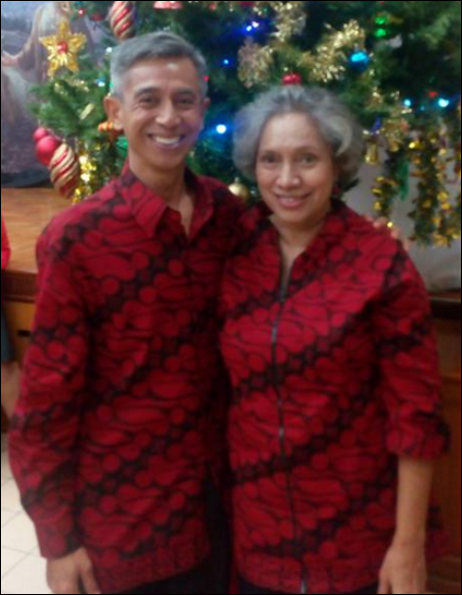 I got to see him and Steffi when they came to the MTC in Provo when he was called as MTC president in Indonesia, and then again when he was called as mission president there. Eventually he was called as an Area General Authority, and it is IMPOSSIBLE to tell you of his influence on oh so MANY in and out of the Church. (I’m having a hard time condensing his extraordinary life!!). I got to see him when he’d come for General Conference for the 10 years he served in that calling: 2003 to 2013). He served during the devastating tsunami following the huge earthquake in Sumatra (2006). One of my brothers, John, was in Jakarta in 2014 and took Yoyo and Steffie and other family members and 15 missionaries to breakfast. Yoyo reported: Dear Sister Edmunds: This morning, 15 missionaries, Steffi, my son Ezra and his fiancee and myself enjoy the “Super bagus” breakfast at the Kempinski Hotel … banyak makanan yang hebat!!! We all were filled much with nutrient and mineral.. I think I gain 2 pounds when I finished breakfast. we thank John for his generosity. We hope he will have more business in Jakarta so I can be gemuk!! Thank you for connecting me with John …dia orang yang sangat bagus!! we love you and hope to see each other again someday!! I won’t translate… you get the idea (smile). 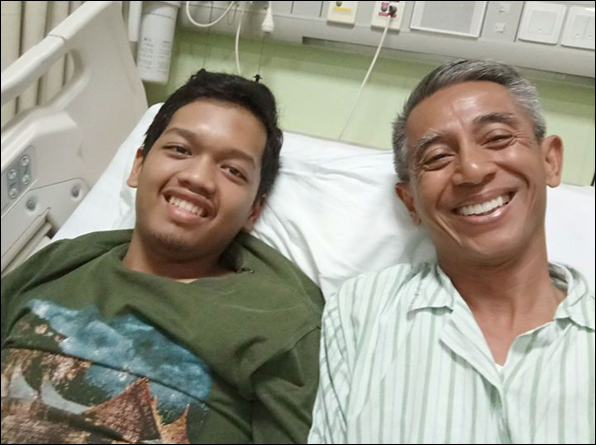 Reyhan Mahendra and I spent a happy moment a few minutes ago at his hospital bed prior to our surgery tomorrow morning. He will have my kidney tomorrow. He is 22 and just graduated in dentistry. He has been on dialysis for over a year. We didn’t know each other until 5 months ago when his mother and my wife met at the kidney out-patient clinic. My wife gave her phone number to her without knowing that Reyhan and I have the same blood type. One night she called Steffi and I talked to Rayhan’s Mom and asked her son’s blood type. She told me that he has B+, immediately I told her I want to give my kidney to her son. To make the story short, our kidneys match and tomorrow morning is the D-DAY. I am happy to contribute a better future for Reyhan. It will bring joy to him and his family, his own future family and his community. I figure out that heaven doesn’t need two kidneys, one is enough to be there. I could never say enough about this dear friend, Joshua (“Yoyo”) Subandriyo. All I can say is that the shout-out is genuine but oh so inadequate . . . .